WALA improper fractions. 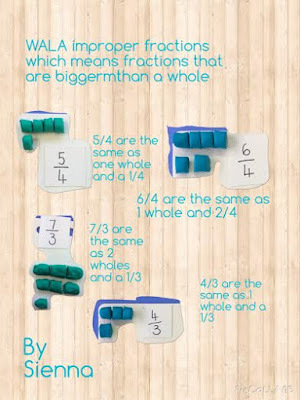 We know that this means fractions that are bigger than 1 whole. We know that the number down the bottom of a fraction is the denominator and tells us how many pieces are needed to make the whole. 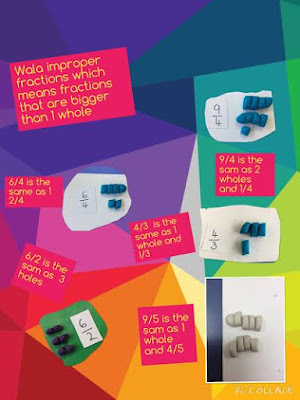 The top number, the numerator tells us how many parts of the whole there are. 5/3 means 3 parts are needed to make a whole and there are 5 parts. 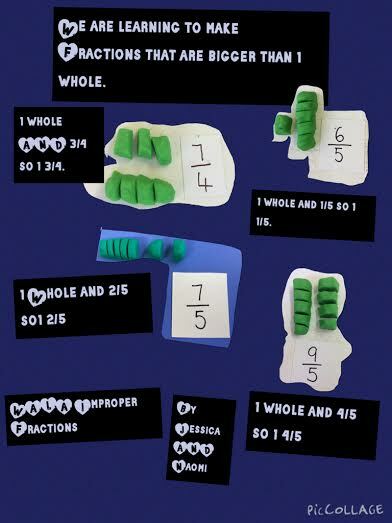 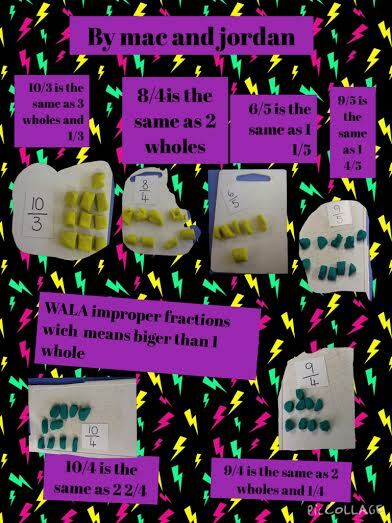 Making fractions with playdough helped us to work out how many wholes and how many parts.